The Heliotype Co. Ltd (Publisher) . Pavilion City Park, Winnipeg, Man.. Ottawa: Printed by the Heliotype Co. Ltd., Ottawa, [between 1910 - 1920]. Description: the lily pond in City Park. 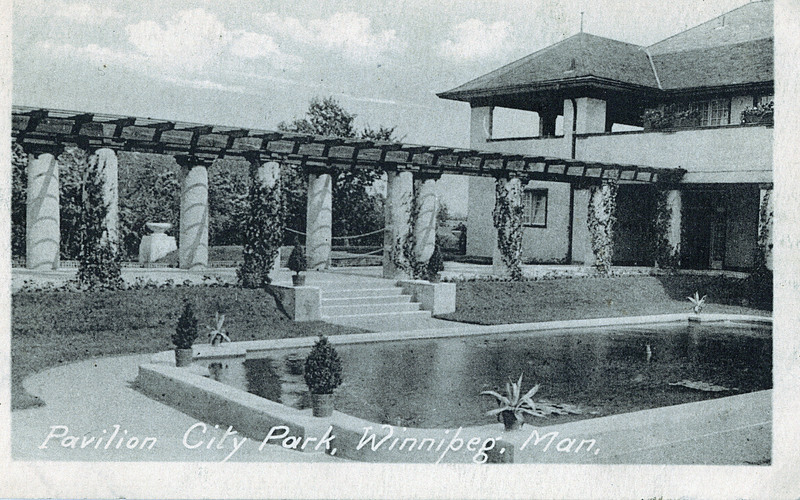 Now it is known as The Tavern in the Park, and City Park is known as Assiniboine Park. Message: "II. I haven't seen my friends. They seem to be sore. Mother is making my wedding dress. Some class!!! You could come in "Peg" to be dress they take off 20% on "Returns" Mother is good I bet Jos & Alie's were only fooling but "stung". I am sending you a copy of the furniture I have bought. Good life Sunny & be good. Kisses by the bushes, Jeanne"